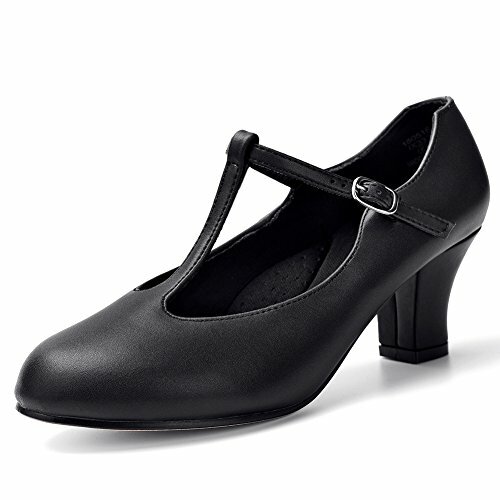 This 2.5" character shoe is made of a genuine imitation leather upper with a scored leather sole. Other features include a soft breathable lining, an attached ankle strap with a pin buckle, and an improved heel lift attachment. Excellent for ballroom or stage!